This entry was posted in Which Open Source Blog on August 31, 2016 by Administrator. App5 is a perfect landing page to showcase your app. Build with twitter bootstrap framework 3.x, CSS3 and HTML5. App5 includes SASS files for a complete and easy customization experience. Shifen Coach is beautiful Theme mainly suitable for mentors who offer personal development. But in can also be easily used for coaches, trainers, therapist, tranning, Speakers or other profession who needs a personal website. Mentor comes with modern and clean design made with one objective – conversion. After research, we have made graphic elements that are created directly for people who offer personal services such as calendars, personal development graph or elements with copy and CTA forms. Present yourself in the awesome and beautiful way using Shifen Coach. It’s a beautiful clean, minimal and elegant HTML5 / CSS3 Business Landing Page. This template has been designed for an Digital Agency , small business, landing page etc. Bislan is very easy to set up and customize and comes with a well documented help file, which will assist you configure the template in minutes. Photory Template is made for photographers and those who need to show their photography Portfolio. There can be multiple categories such as Wedding, Family, Sports, Nature e.g. Each category. Photos are represented in big size and natural proportion (ratio). This template has been designed thinking about the simplicity and perfection. Better less content and functionality, more precision and compatibility. The images viewed in the live preview site are replaced with a placeholder. Server requirements: PHP version 5.6 (according with WordPress), max_execution_time 120, memory_limit 64M, post_max_size 64M, upload_max_filesize 64M, max_input_vars 5000. 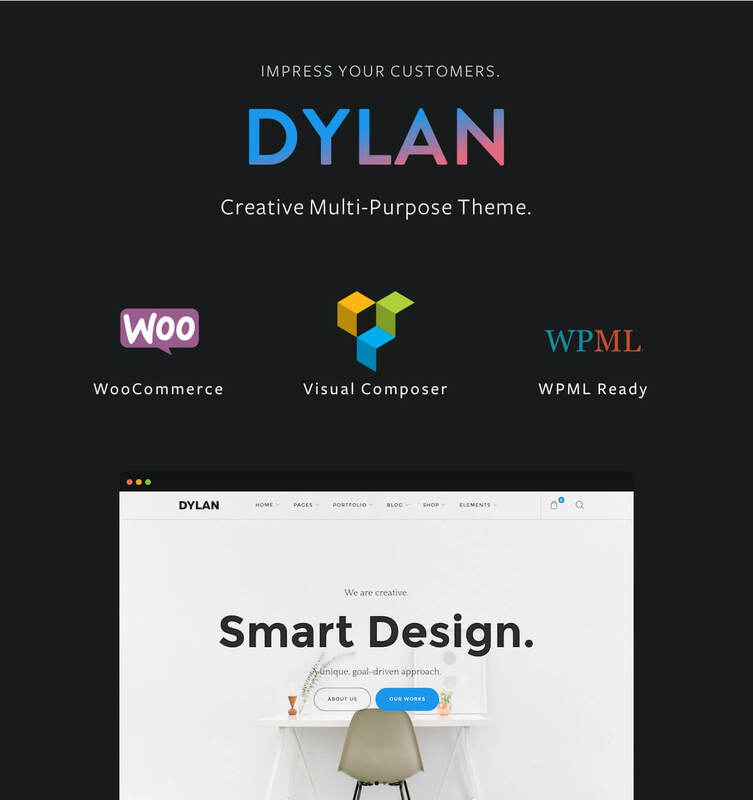 Dylan is an high-performance, fully responsive WordPress theme. With 20+ different home pages, it’s perfect for any kind of business and personal websites. Based on Visual Composer, the most popular WordPress, and Bootstrap, it will give you the flexibility to easily build your website without any coding experience.